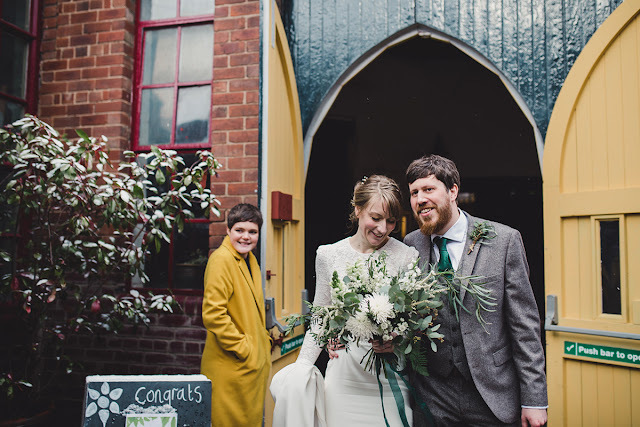 Campbell's Flowers: Roisin and Paul's Yellow Arch Studio Wedding - Spring foliage and snow flurries. Roisin and Paul's Yellow Arch Studio Wedding - Spring foliage and snow flurries. We met Roisin and Paul last year at one of our favourite events, The Indie Wedding Fair 2017! 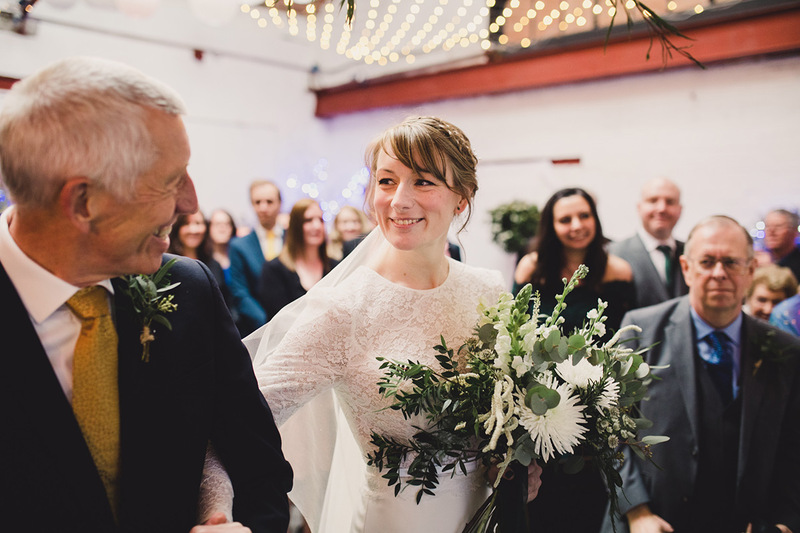 The couple were one of the first couple to tie the knot at the newly refurbished Yellow Arch Studios which is a gorgeous venue situated just down the road from our studio. 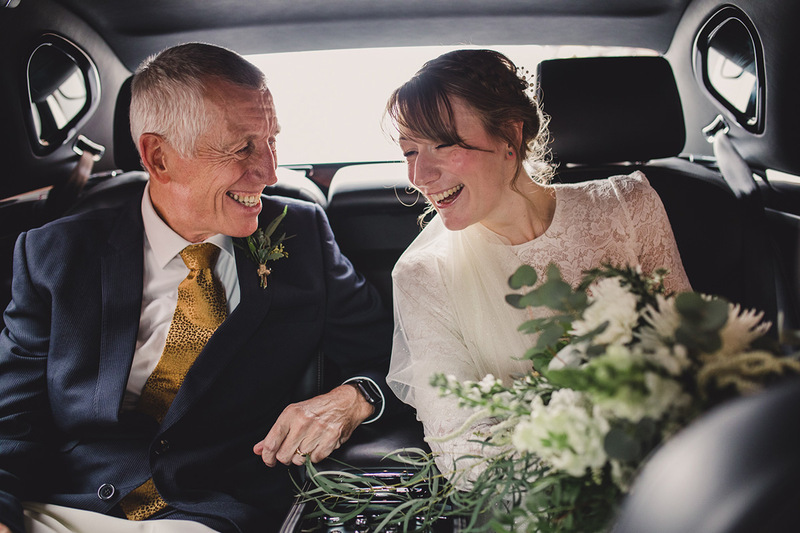 We are so lucky to have such great wedding venues right on our doorstep. 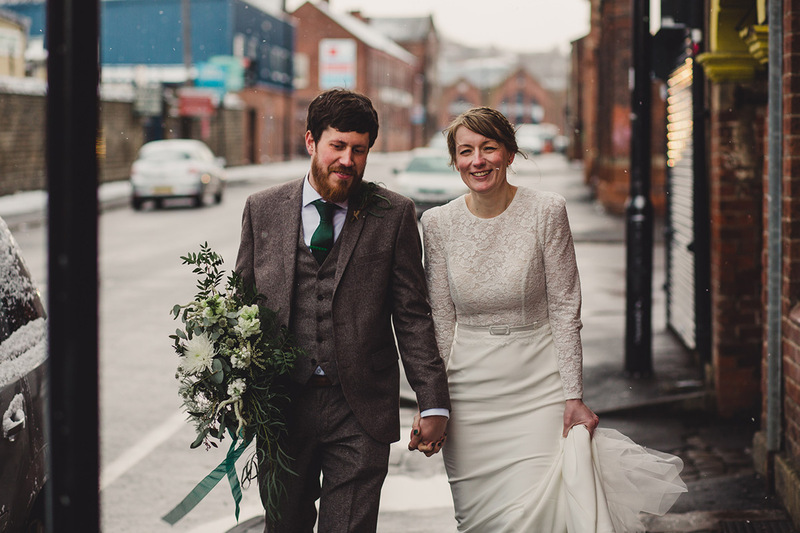 The couple chose to get married on St Patricks day as a nod to their Irish heritage with a predominantly green colour pallet. 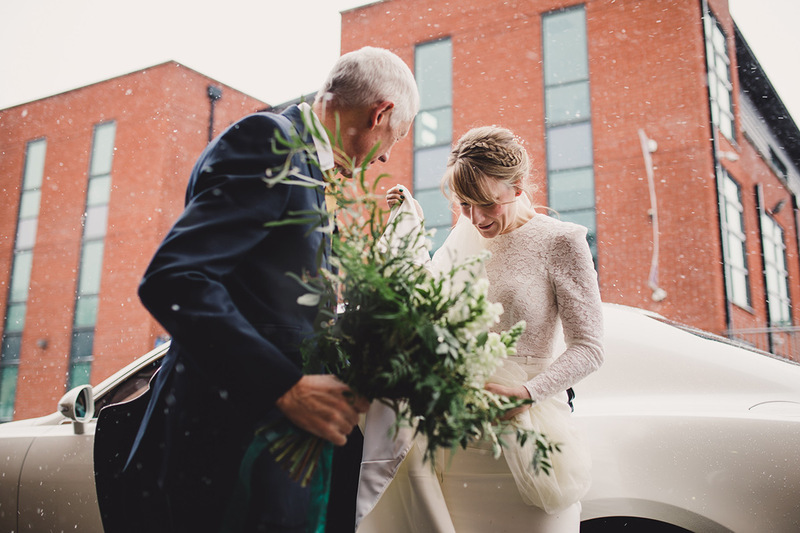 For her bouquet Roisin wanted a spring feel (even though there was a snow flurry or two on the day, British weather at it's finest!) 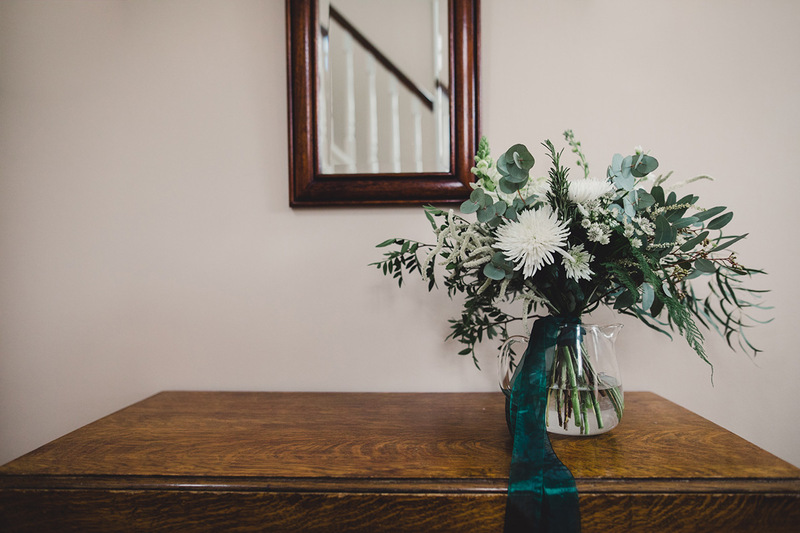 with plenty of foliage with a touch of white. The design was kept meadowy and loose with an asymmetric shape. 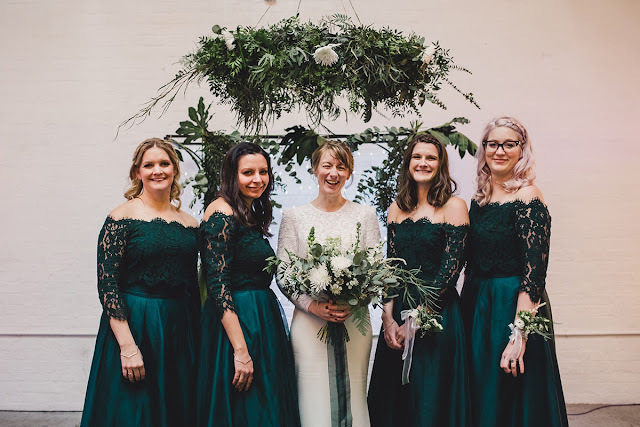 Some of the flowers and foliage chosen were ferns, eucalyptus, rosemary, astilbe and chrysanthemum all bound together with a stunning emerald green ribbon (another reference to the Emerald Isle). For the bridesmaids the couple chose wrist corsages instead of bouquets which was a great choice as it complemented the dresses beautifully. 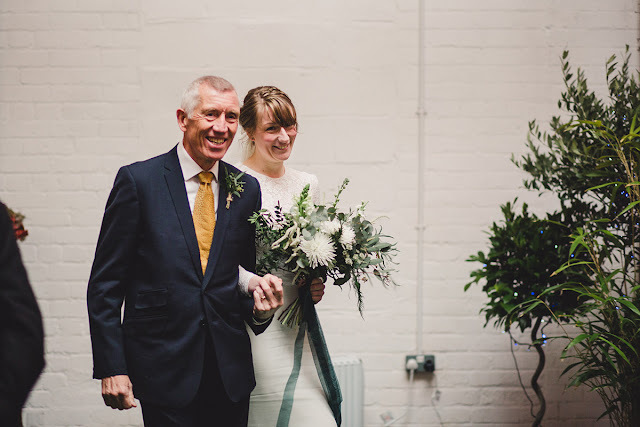 Buttonholes were a sprig style designs using plenty of foliage. Shout out to our buddies Jenn Edwards & Co who did a great job on hair and make up as always and big thanks to Mylo Photography for the images they are stunning. Also if you look closely Roisin is laughing in every single picture which absolutely reflects her personality!